Few sports are as widely adopted and respected as golf. This national pastime is a favorite among men, women, children and business professionals the world over. While many people partake in this playful sport during the summer months, businesses should encourage consumers to play this August, which marks National Golf Month. There are many consumers who enjoy the sport, but companies looking to reach a particular target market with golf-related promotions should consider the following four groups, all of which greatly enjoy playing golf during their free time. This consumer is an avid golf fan – he knows the rules of the sport, he only uses top-of-the-line equipment and he is always looking for a reason to hit the green. If your marketing efforts are geared toward this passionate player, consider a promotion that will distribute high-quality products. On your business’ Facebook page, hold a contest among consumers, asking them to answer trivia questions about the sport or calling for followers to upload images of themselves on the golf course sporting one of your products. Offer a fun prize to the winner, such as a set of Nike Vapor Black 2.0 Custom Golf Balls. 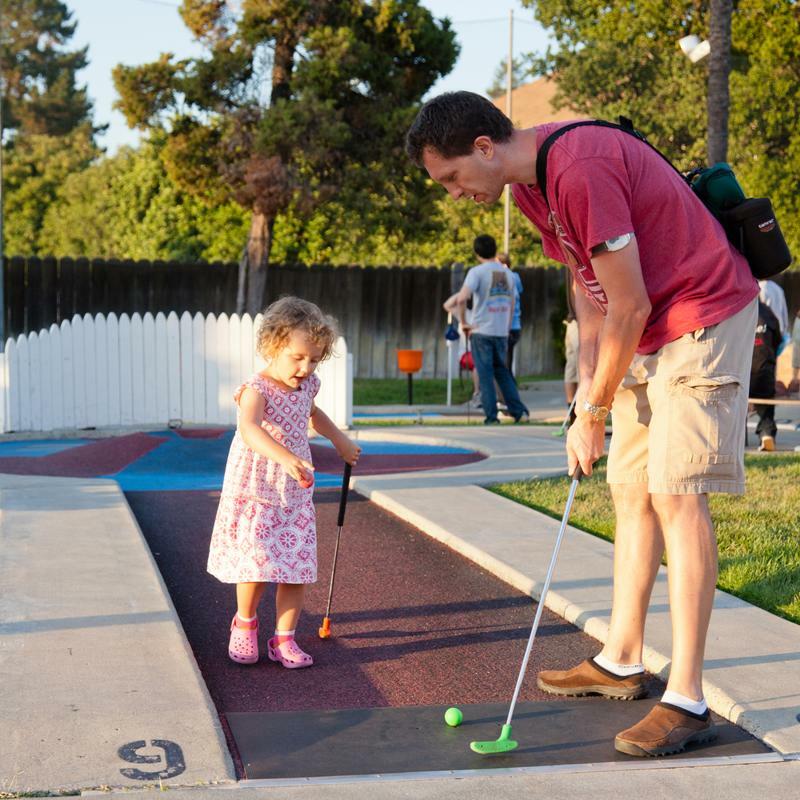 While this golfer is equally passionate about playing the sport, he prefers spending time with the little ones as opposed to peers or professionals. Instead of searching for opportunities to hit the green with his friends, he opts for bringing along his children. This consumer is more intrigued by products he can share with his family, such as golf umbrellas or a Golf Bag Water Bottle Cooler. Additionally, since he’s likely to give any free products to his children, he will prefer colorful, kid-friendly items. Instead of golfing with his friends, the family man opts for bringing along his children. If you’re marketing toward this branch of your consumer base, promotional giveaways are the best option. 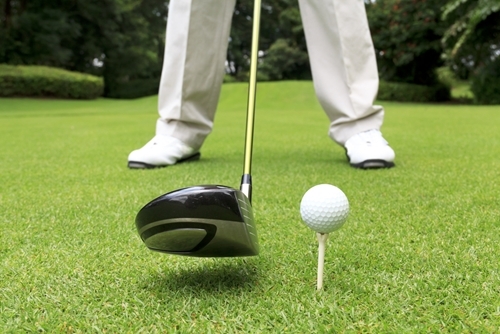 Select colorful items that the golfer will likely need many of, such as a set of Custom Leaderboard golf tees. Be sure to include kid-friendly ideas as part of the initiative. For example, your business could attach a set of coloring pages or golf facts children may be interested in. For decades, business professionals have enjoyed playing golf with partners, interviewees and clients. Golf provides a perfect opportunity for professionals to not only show off their sporting skills, but also discuss important business concepts and connect to their own clients. The professional player frequently golfs with other executives in the business world, so he enjoys any product that will make him look poised, confident and skilled. Additionally, since he may be treating a potential client of his own to a riveting game, he could be searching for promotional items to further increase his company’s likability in the person’s eye. When targeting this kind of buyer, look for an eye-catching, high-quality product that will help him impress clients of his own. The 5-in-1 Divot Repair Golf Tool, for example, is a great option, as it not only performs a less-than-conventional function, but it allows the person to show off his own knowledge of the sport. This consumer enjoys golf for the sake of the sport. He’s not interested in impressing clients or establishing himself as an expert – he just wants to have fun. Since he only golfs sporadically, he’s likely to only have the basics when it comes to golf tools. Clubs, balls and tees are in his collection, but that’s probably it. Since he doesn’t spend all of his free time golfing, he doesn’t shop for golf supplies often and would benefit from the core collectables required to play the sport. Sending him a basic golf pack, such as the Pillow Pack With 2 Callaway Golf Balls, is the best way to go.